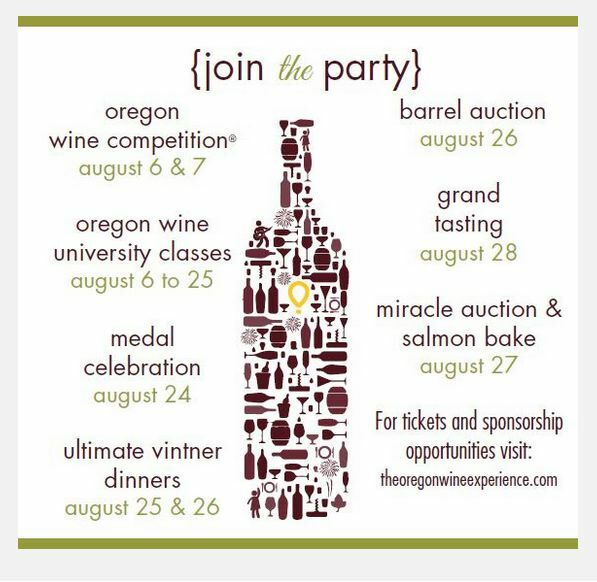 Oregon Wine Experience Multiple events from August 6 to August 28 make up the Oregon Wine Experience in Jacksonville, Oregon. Profits directly benefit the Children’s Miracle Network and other Asante healthcare programs. Last year the event raised $507,000. Carlton Crush Harvest Festival Upper Park and Downtown Carlton, Oregon, will be the site for the annual Carlton Crush Harvest Festival on Saturday, September 10, 2016. No entrance fees and free parking. Visit www.carltoncrush.com for a full listing of activities for all ages that include pouring of fine wines and craft beers, live music, artists’ marketplace, many food choices, and grape stomp competition. Top California Pinot Noir Counties According to USDA-NASS statistics, California’s top Pinot Noir producing counties are: Sonoma County 12,281 acres, Monterey County 9,438 acres, Santa Barbara County 5,223 acres, San Luis Obispo County 2,097, Napa County 2,695 acres, Mendocino County 2,695 acres, and the Central Valley (several counties) 14,687 acres. Average price per ton varies from a high of $3,530 in Sonoma County to $443-$710 in the Central Valley. Sonoma Wine Country Weekend The chefs serve, the winemakers pour and everyone delights in this event that contributes to local children’s charities. The event will be held Labor Day weekend, September 2-4, 2016, throughout Sonoma County. Winemaker lunches, barbecues and dinners, Sonoma Starlight at Francis Ford Coppola Winery in Geyserville (September 2), Taste of Sonoma at MacMurray Estate Vineyards in Healdsburg (September 3), and the Sonoma Harvest Wine Auction at Chateau St. Jean in Kenwood (September 4). Honorary Event Chair is Dan Kosta of Kosta Browne Winery and Culinary Chairs are Mark and Terri Stark of Stark Reality Restaurants. The event is a partnership between Sonoma Valley Vintners & Growers Alliance and Sonoma County Vintners. Visit www.sonomawinecountryweekend for tickets. Rollin Soles New Sparkling Wine Project Winemaker Rollin Soles is well known in Oregon for his sparkling wines produced at Argyle over the past 30 years. He built the first sparkling wine facility in Oregon in 1987 at Argyle Winery. Soles left Argyle to concentrate on his own label, ROCO, but continues top be a consultant to the Argyle sparkling wine program. He also is a shareholder in Radiant Sparkling Wine Company, a custom-crush sparkling wine company. Beginning with the release of his 2013 RMS (Rollin Michael Soles) Brut in the fall of 2016, Soles is back in the sparkling wine game. 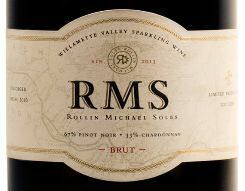 The 2013 RMS Brut is a blend of Pinot Noir (clone 828) and Chardonnay (clone 95) from several Willamette Valley AVA that is produced at Rollin’s ROCO Winery, and is priced at $65. Of the 580 case production, 200 cases were disgorged in the spring 2016, and a second disgorgement will take place in summer 2016 for release nationally. 100 cases will be held back for disgorgement in 2023. The wine will be available at www.rocowinery.com. 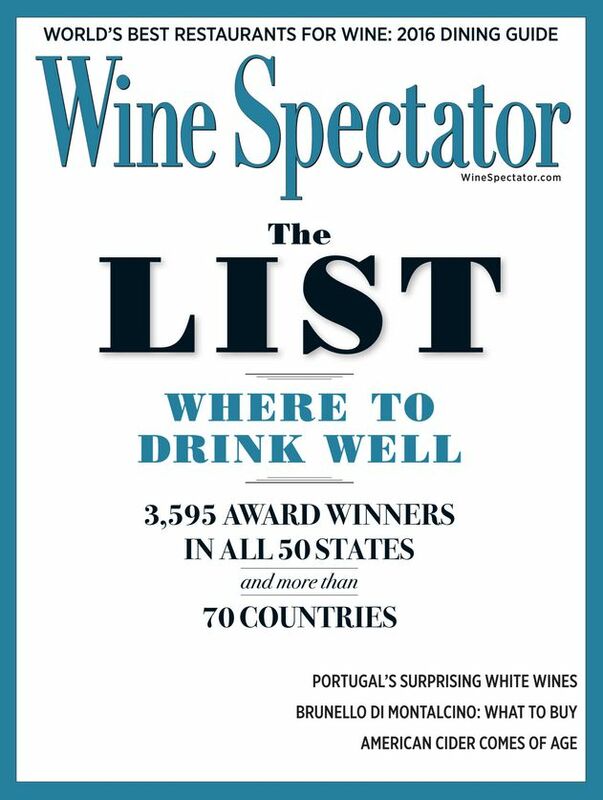 Wine Spectator 2016 Restaurant Awards The latest August issue of the Wine Spectator features the winners of the 2016 Restaurant Awards that recognize outstanding wine programs. A total of 2,414 Award of Excellence, 1,093 Best Award of Excellence and 88 Grand Award winners were announced, covering 50 states and 72 countries. Wine Spectator also launched to entities: the official free Restaurant Awards app and the Restaurants.WineSpectator.com website. Matt Courtney Joins MacPhail as Consulting Winemaker James MacPhail has left his namesake winery, and Matt Courtney, winemaker at Arista where he will continue, and owner and winemaker of his own brand, Ferren Wines, will serve as consulting winemaker and lead the brand forward. Before joining Arista, Matt made wine at Marcassin for nearly 8 years, including participating in the making of the first ever Chardonnay in California to garner a perfect 100 point score from Robert Parker, Jr.. The 2014 vintage will be the last vintage that James was in full control. There will be no significant change in philosophy and approach, although some changes in vineyard sources will occur. Hess Family Wine Estates began working with then owner James MacPhail in 2007 and later bought the brand from him in 2010. Tim Person (the CEO at Hess), and his spouse Sabrina (Donald Hess’s stepdaughter) are taking MacPhail under their wing. Inman Family Wines Launches Cinematic Website Owner and winemaker Kathleen Inman worked closely with Blue Circle Branding (led by Emmy-award winning Robert Lundahl and partner David Howard) to design the site that includes full-frame videos that tell the story of the seasons, making Inman Family Wines the first winery website to use full-frame video on the popular Vin65 winery CMS platform. The video can be viewed on page load and mobile devices. The musical score is by indie-rock group The Lower 48 from Portland. To experience the new website and learn more about the excellent wines of Inman Family Wines in the Russian River Valley, visit www.inmanfamilywines.com. I believe this is the future of winery websites. Wine Spectator Refuses to List label ABV in Wine Reviews: Why? The editor at Wine Spectator says they do not include alcohol levels in their wine reviews for two reasons: first, the regulations allow for a wide tolerance, so the true ABV may be significantly different from that printed on the label resulting in misleading information to consumers. Second, alcohol is only one element in a wine’s balance and by itself is not a good predictor of a wine’s quality or character. Allow me to dispute both reasons. First, an extensive study published in the Journal of Wine Economics, “False Label Claims About High and Rising Alcohol Content of Wine,” 2015, reported that on average the label claims understate the true alcohol content by about 0.39% alcohol for Old World wine (red or white) and about 0.45% for New World wine (red or white). For New World wine, this variance would amount to about 0.60% for a wine of 13.5% alcohol by volume (ABV) and 0.65% for a wine of 14.5% ABV. This would indicate that on average wines with labeled ABV of 13.5% are closer to 14.0% and wines with labeled 14.5% are closer to 15.0%. This variance is within permissible limits (1.0% for wines with more than 14.0% ABV and 1.5% for wines with 14.0% or less ABV). Despite this allowable error, the consumer (especially most of those who are wine knowledgeable readers of the Wine Spectator) understands that although a wine with labeled 14.5% ABV may truly be 15.1%, the alcohol level is significantly higher than another wine with a labeled 13.5% ABV which at the most, can be 14.0% ABV. The consumer looking to drink within the limits of moderation needs to know the ABV. A bottle of Pinot Noir with 15% ABV contains 15% more alcohol than a bottle of wine containing 12% ABV. Second, the label ABV, although only one aspect of a wine’s balance, is a very good predictor of a wine’s quality and character. Higher alcohol wines, say well above 14.5%, are more likely to be out of balance, less aromatic, less age worthy and hot on the finish. Lower alcohol wines are more often balanced, more aromatic, more vibrant, more age worthy, and usually absent of any alcoholic warmth. I have been a long time proponent of listing the ABV on wines I review in the PinotFile (either the label ABV, or when available, the more reliable ABV stated in the winery tech sheet), and I believe I was the first wine publication to implement the practice on a consistent basis. Unfortunately for the consumer, the ABV is often present on a wine label in very small print (only 0.5 mm font size is required) and in some cases in a poorly contrasting color, so that it is virtually unreadable without a magnifying glass and therefore often ignored. This is still another good reason to include a wine’s labeled ABV in reviewed wines. Of course, one should also list the acidity (pH and TA) and residual sugar in wine reviews, like I do, but that’s another story.